Technical Car Experts Answers everything you need: A/C - Driver side cold, Passenger side hot? A/C - Driver side cold, Passenger side hot? 2009 Grand Cherokee A/c driver side gets cold but the passenger side gets warm. Take apart dash and look for blend door at A/C. See if everything functioning correctly or not. If everything looks to be turning correctly then you can hopefully rule out the control head and actuators. Set the temp and see if you can control temperature on heat. If you aren't able to control temperature on the right side when it's on heat then you know you have a right blend door problem, in that case the heater box will have to come out and be disassembled. But if you can control temperature on heat but the a/c is warm on the right side it's likely a charge issue. The refrigerant charge you can understand. With the way airflow is set up in modern Chrysler heater boxes one side of the vehicle gets air from one side of the evaporator and the other side of the vehicle from the opposite side. When a/c charge becomes low it will be able to cool one side of the evaporator but not the other so it creates a temperature difference between left and right. If you are able to control heat ok then the first thing that will need to be done is evacuate and properly recharge that a/c and it should take care of the problem.But if heat is not getting controlled then definitely heater box has to be inspected. Many a times the problem occurs even after the A/C system is recharged. On that cases its the problem related to internal refrigerant leak in the evaporator or a broken blend door. Why i am mentioning about evaporator leak,because at our auto garage we have seen this.The evaporator is made up of a series of plates that are soldered together to make single cores, the evaporator is made up of a stack of these cores. Once in a while they will develop an internal leak and one side of the evaporator will cool and the other won't. This is uncommon but possible. The other possible cause would be a broken blend door. If you're sure the charge is ok at this point the heater box will need to be removed and disassembled to inspect the blend door. 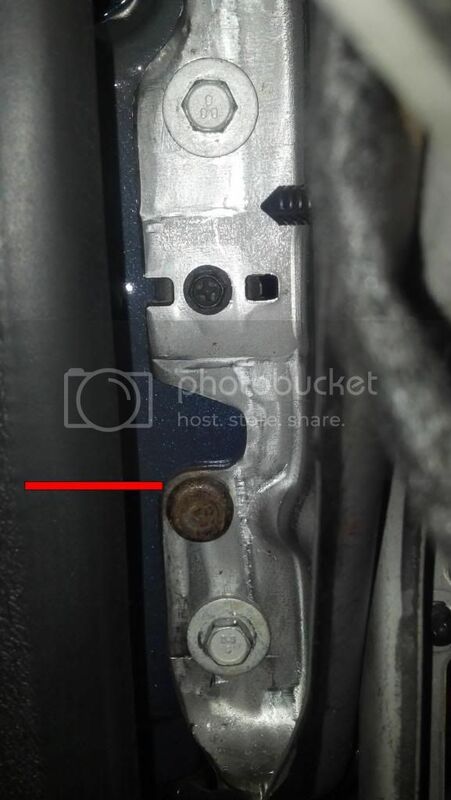 HOW TO REMOVE JEEP CHEROKEE HEATER BOX? First you will have to remove the entire instrument panel as an assembly. Please note that the bracing and everything comes with it, just removing the trim panels won't be enough. The steering column has to be removed or dropped, the center console removed, and then the entire instrument panel assembly. Once it is done then only the the heater box on the firewall can be removed. Brace is not very difficult to remove but it looks so,.The brace will not come out as it has two bolts and a screw holding it there and then it has a huge rivet looking pin,that has to be pushed out. The bolts above and below that are the ones that hold it to the pillar, they're either 13 or 15mm. Those are what needs to be removed.Once the bolts are out,the brace is loose to be easily removed. You will also require basic tools and much is confidence to do this task. Heat blows cold on drivers side and hot on passenger side? Hot air on the driver’s side vents only? Ford F150 Ac only blows through defrost vents? Dodge A/C come out of defrost vents only? Ac vacuum line on dodge cummins? Ford ranger AC blows cold through defrost vents instead on cabin vents? 2005 Chrysler PT Cruiser: A/C Blows Warm? AC air blows through defrost vent only on Ford F-350 6.0 Diesel Engine? Ford Escape Air flow selector not working and Air blows from defrost vent only? AC blows air out of defroster and floor vents only on ford excursion? Chevy equinox quits heat after few minutes? Clicking noise under dash and front defroster not working? Heater AC or defroster fan not working on KIA? 1996 Pontiac Grand AM: Low A/c Service valve? 2009 Mercury Grand Marquis: A/C blows Cold From Defrost Vent Only? Chrysler Voyager: Liftgate will not Open? Nissan Maxima: How To Replace Alternator? What To Do When Car Stalls?